Ryan and Leah Jeffers lean over their daughter Malyia in the hospital. (CNN) -- When 2-year-old Malyia Jeffers developed a fever one Sunday afternoon in November, her parents gave her a children's Motrin and kept a cautious eye on her throughout the night. By the following morning, Malyia's fever had jumped to 101 degrees, and other concerning symptoms also started to appear. After two hours in the ER waiting room, Malyia couldn't walk or even stand up. "I tried to stand her on her feet, but her knees buckled," her father says. Malyia's fever went from 101 to 103 degrees. Then, Jeffers says, the bruising on his daughter's cheek, once the size of a marble, covered most of her face and ears. After what her father says was nearly five hours of waiting in the emergency department, Malyia's body went limp. For Jeffers, the wait was over. This time he bypassed the desk where the emergency room nurses sat and pushed through the doors behind them. Jeffers says blood tests showed Malyia's liver was failing. She was sent by ambulance to a nearby hospital with a pediatric intensive care unit, which diagnosed a strep A infection. Also called the "flesh eating bacteria," strep A had sent Malyia into toxic shock. Malyia was transferred once again, this time to Lucile Packard Children's Hospital at Stanford University. By this time, the prognosis was more grim. "It was hour to hour, sometimes minute to minute. We had a roller-coaster ride trying to keep her alive," says Jeffers, who for two weeks thought his daughter might not pull through. "She deteriorated quickly in front of us," says Dr. Deborah Franzon, the pediatrician who treated Malyia when she arrived at Stanford. "She needed life support and blood pressure medications to help her heart functioning." 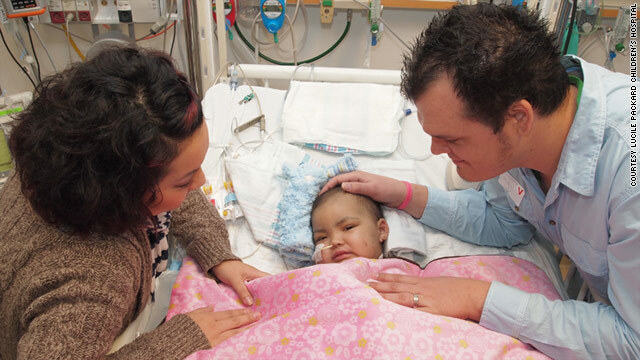 While the doctors managed to save Malyia, not enough oxygen was getting to her limbs. Because of that, Franzon said, three weeks after she arrived at Stanford, surgeons had to amputate her left hand and some of the fingers on right hand. They also had to remove her legs below the knees. Methodist Hospital said it could not legally comment on the Jeffers' case. "I wish I could have kicked in the doors"
Her parents believe Malyia's condition was the result of a recent ear piercing that got infected. "It makes me angry to think about it," says Jeffers. He says he made many attempts to get his daughter the care she needed, and regrets he could not do more. "I wish I had kicked in the doors to the emergency room and made someone see her sooner," he says. Emergency department physicians offer these tips to help you both before and after your arrival at the emergency room. 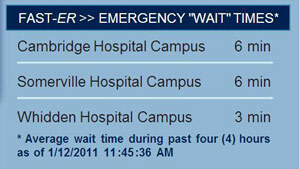 Many hospitals have started posting up-to-date estimates to help patients be more informed of their potential wait. Even before an emergency happens, it's a good idea to figure out which nearby hospitals post their emergency room wait times on the internet, Sayah recommends. Many hospitals, including members of the Cambridge Health Alliance where Sayah works, have started posting up-to-date estimates on their homepages to help inform visitors of their potential wait. Patients who have the option might want to consider when they choose to go to the ER. "In most emergency rooms, the busiest day is Monday," says Sayah. "Patients who get sick on the weekend wait until Monday to go to the hospital because they don't want to spend their weekend in the ER," he explains. Studies have shown that patients who arrive in the ER on Monday rank lowest in terms of patient satisfaction. "It's a good idea to let your doctor call ahead and tell the ER physicians what they may be thinking," said Schneider. Your physician may be able to explain your symptoms more clearly, and when ER doctors hear from a fellow physician, it might help put you on the radar. "People often get angry or leave, but that's a bad idea," says Schneider. "If you were sick enough to be there in the first place, then you need to wait." She says to note that triage nurses are sorting through dozens of patients and says don't be rude, but do be persistent. "As you are waiting, if you notice changes in the patient, let the nurses know there is a new symptom as soon as possible," says Schneider. According to the Emergency Severity Index, triage physicians have specific requirements for assessing pediatric patients. There are protocols in place to reassess patients in the waiting room and alerting the staff to changes in symptoms, especially to changes in temperature and fever, can help your child avoid an excessively long wait in the emergency room. If you have been waiting for a while, and feel like the situation is getting worse, ask for the charge nurse or shift supervisor. Experts in emergency medicine often define urgency using certain terms. They say to advise the person in charge that you think the patient has an "emergency medical condition that should be evaluated right away." CNN's Elizabeth Cohen contributed to this report.